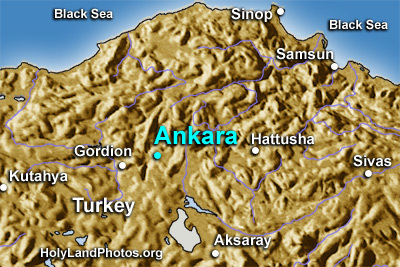 Ankara has been the capital of Turkey since 1923. This thriving city has a population of about 3 million persons. Ankara not only is the seat of the Turkish government, but it also has Ataturk’s Mausoleum, the “world class” Museum of Anatolian Civilizations, and a very well–preserved Roman Temple dedicated to Caesar Augustus (27 B.C. to A.D. 14).